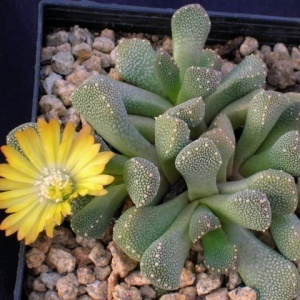 Low growing plant with warty leaves and large yellow flowers. Native of South Africa. Lovely little plant ideal for small pot in well drained gritty compost in full sun. Will tolerate frost if kept dry, best on kitchen windowsill for winter.